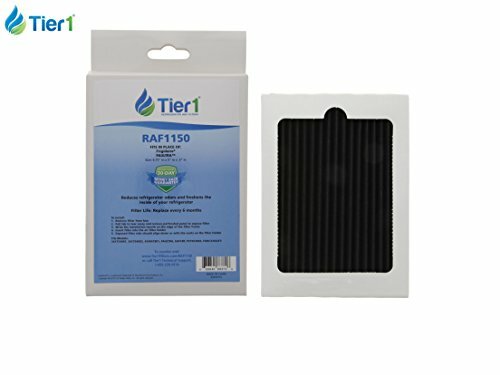 The PAULTRA Frigidaire and EAFCBF Electrolux Comparable Tier1 Refrigerator Air Filter (2-Pack) helps keep your refrigerator smelling fresh by reducing odors. The RAF1150 Tier1 is manufactured using carbon, ensuring odors are stopped in their tracks. The RAF1150 lasts for up to six months and requires no tools to install, making installation a breeze. The RAF1150 is built to fit the new Frigidaire Gallery and Professional side-by-side french door refrigerator models. Order today!